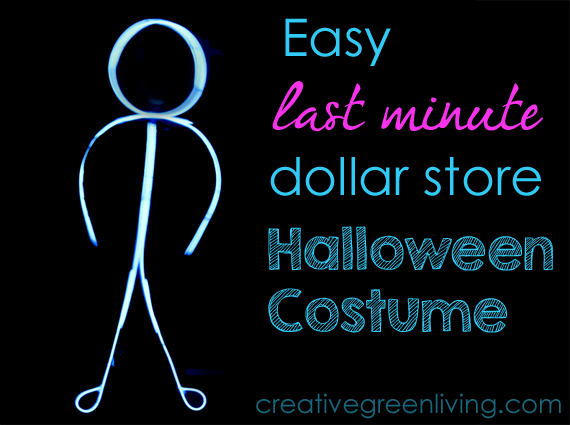 Are you scrambling to come up with a good last minute, no-sew Halloween costume that won't break the bank? 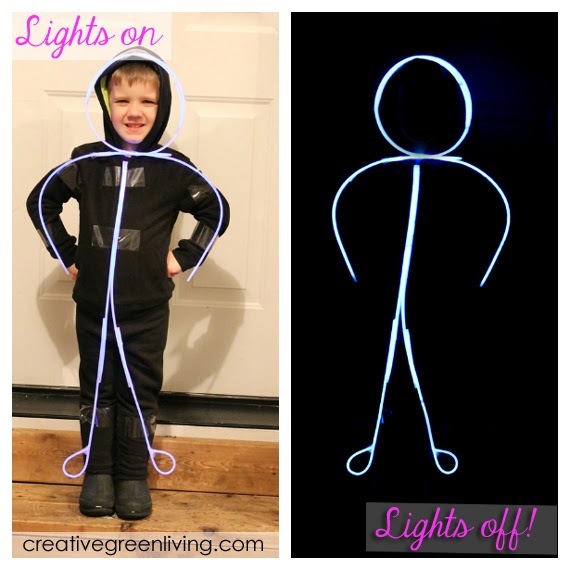 This costume is inexpensive and a perfect last minute DIY to make with some dollar store glow sticks. 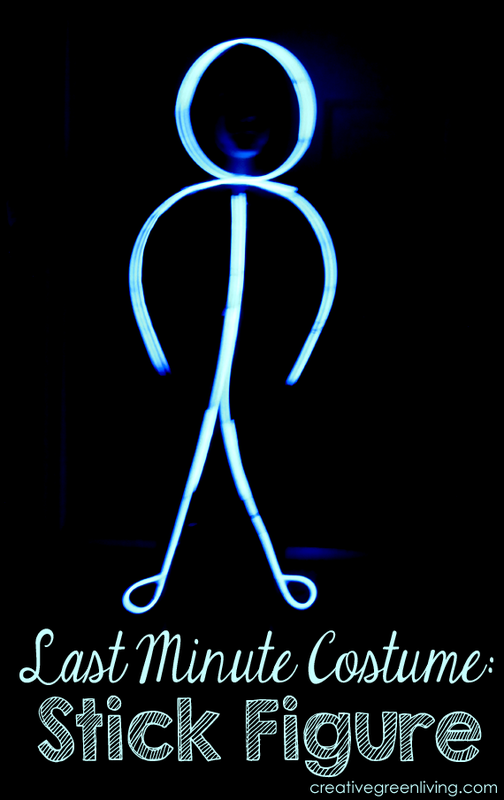 Be a solo stick figure or be a whole family or squad of stick figures - this costume is totally customizable so swap out the colors, add some sweet hair or even a cute skirt! If the video does not play in the space directly below this paragraph, you can also see it on the Creative Green Living YouTube channel. 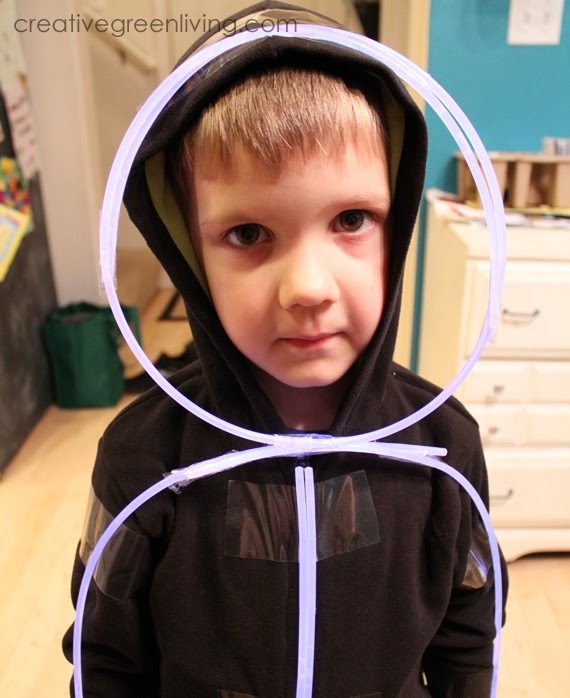 Step 2: Open glow necklaces. Crack and shake to activate. 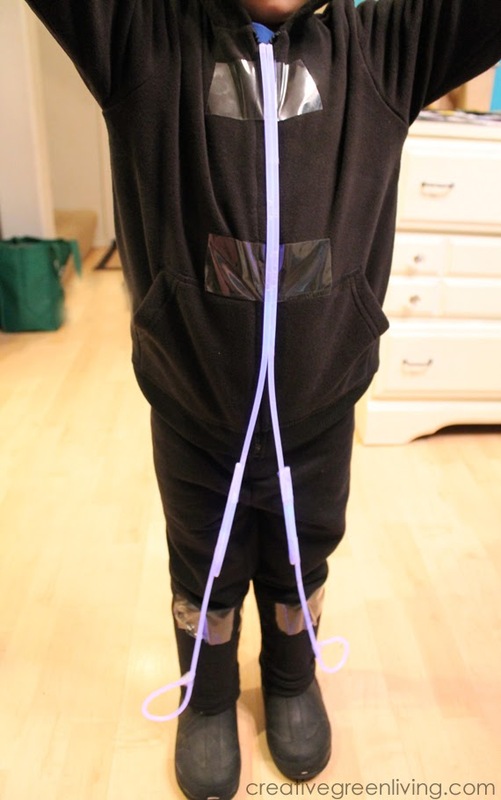 Use packing tape to secure two necklaces side by side, running down the front of the hoodie. Split apart at the bottom to form legs. Make a loop at the bottom of two more necklaces to form feet. Attach the leg/feet sticks using packing tape, overlapping where the torso split off. Tape one necklace down each arm, overlapping in the middle above the chest. 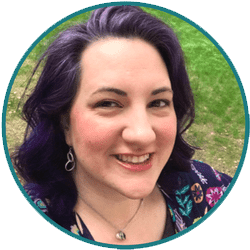 Use necklace "clasp" pieces to join two necklaces and use this long length the make a circle large enough to encircle the opening of the hoodie, taping the overlap the extra to the sides. 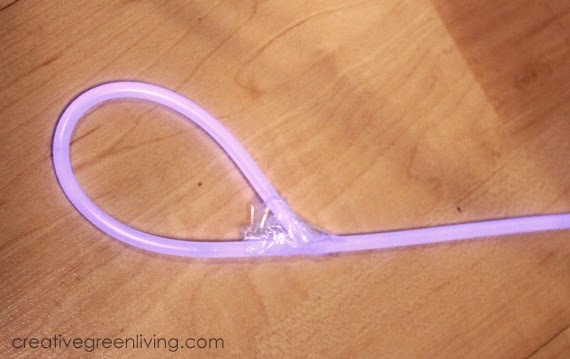 Attach to clothes with packing tape. Step 5: Glow Baby, Glow! 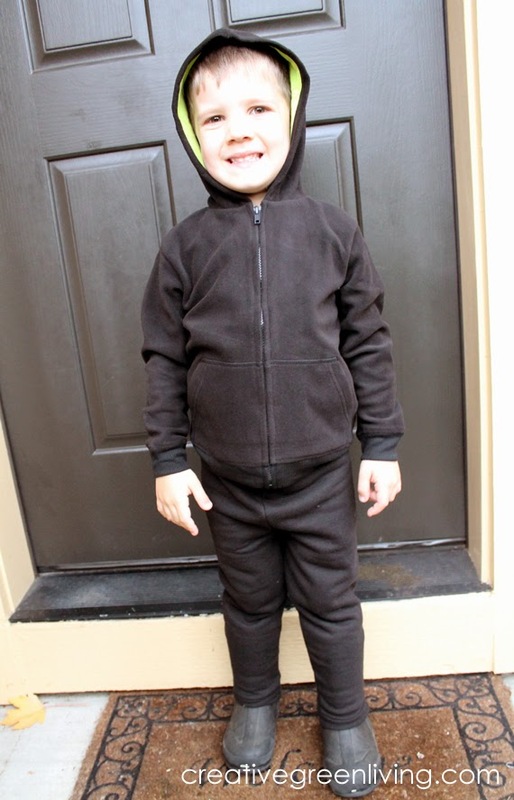 Works even better with the face painted black. I can see a bit of his face reflecting the light from the glowsticks, and the effect would be more dramatic even with the lights on.